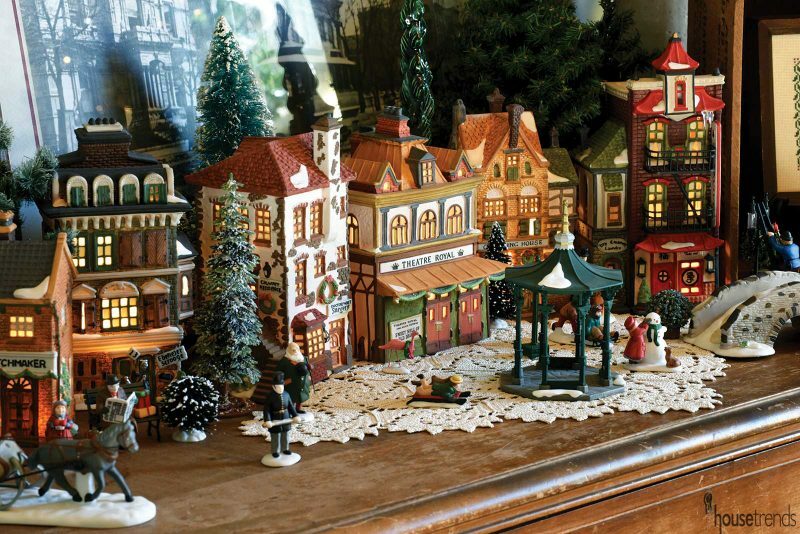 Every other year in early December, the streets of St. Anne’s Hill Historic District come alive for the Dickens of a Christmas Holiday Home Tour. Tour attendees trek from house to house, admiring the holiday decorations that bring the quaint neighborhood to life. 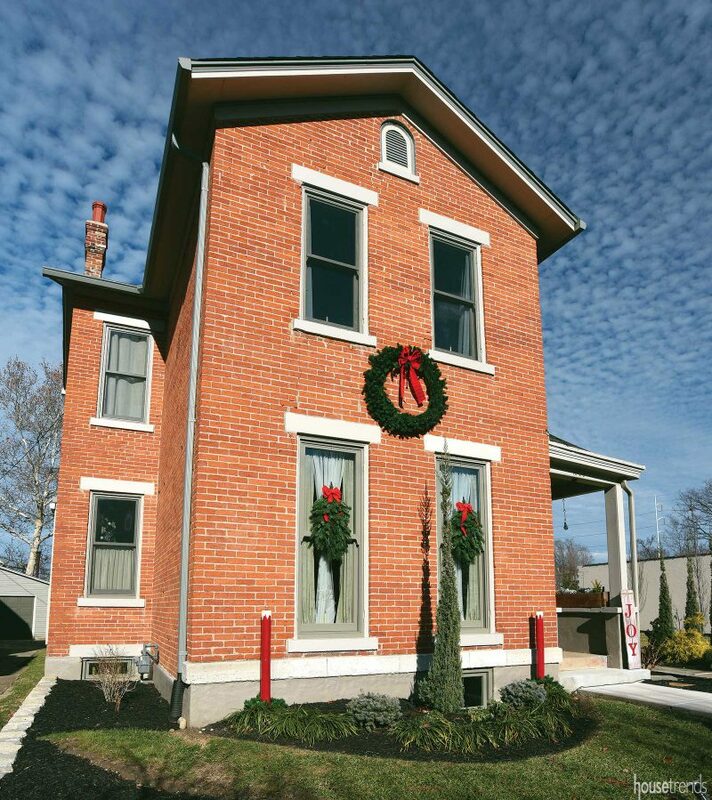 Last year, Jason and Adam Coatney-Schuler took part in the tour by opening the doors to their 1875 home. 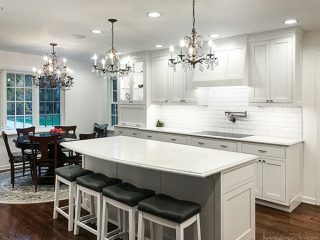 The antique table is a family heirloom which rests in the new dining room. 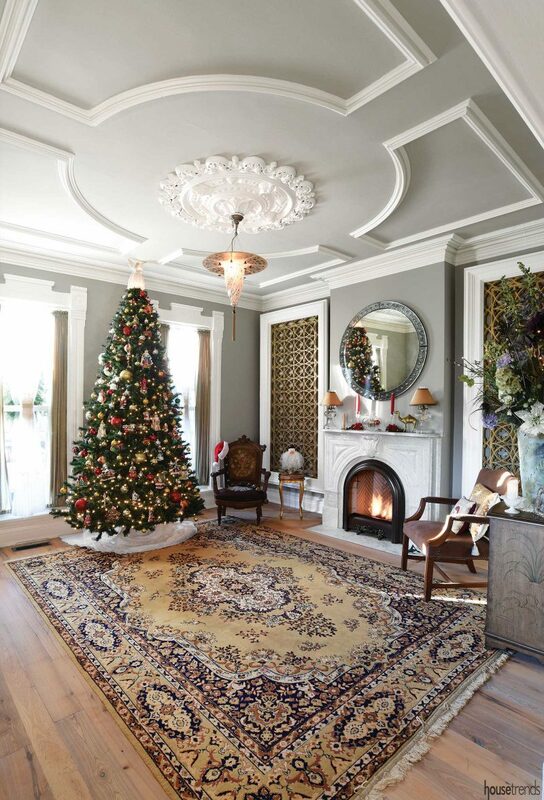 Parlor with marble fireplace is decked out for the holidays. 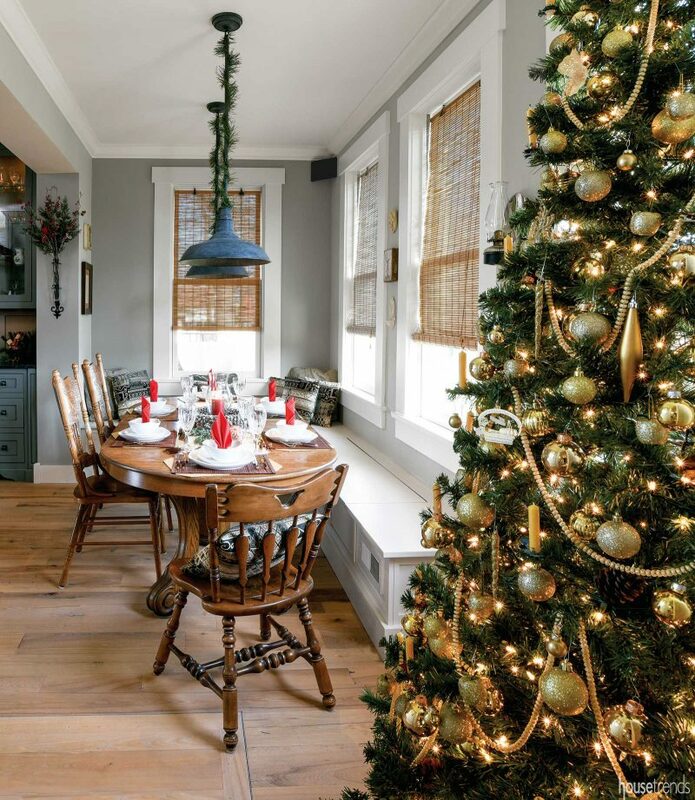 While they have downsized a bit, Jason and Adam still make sure to sprinkle holiday cheer throughout their home. Starting in the parlor, the original marble fireplace and crown molding set the tone, while a beautiful Murano light fixture hangs beneath the elaborate plaster medallion. 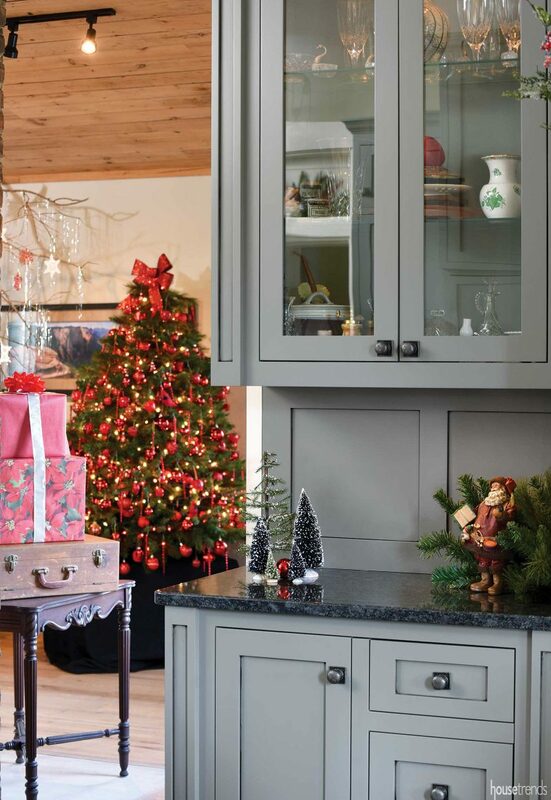 The first of four Christmas trees scattered throughout the home is tucked into the corner. 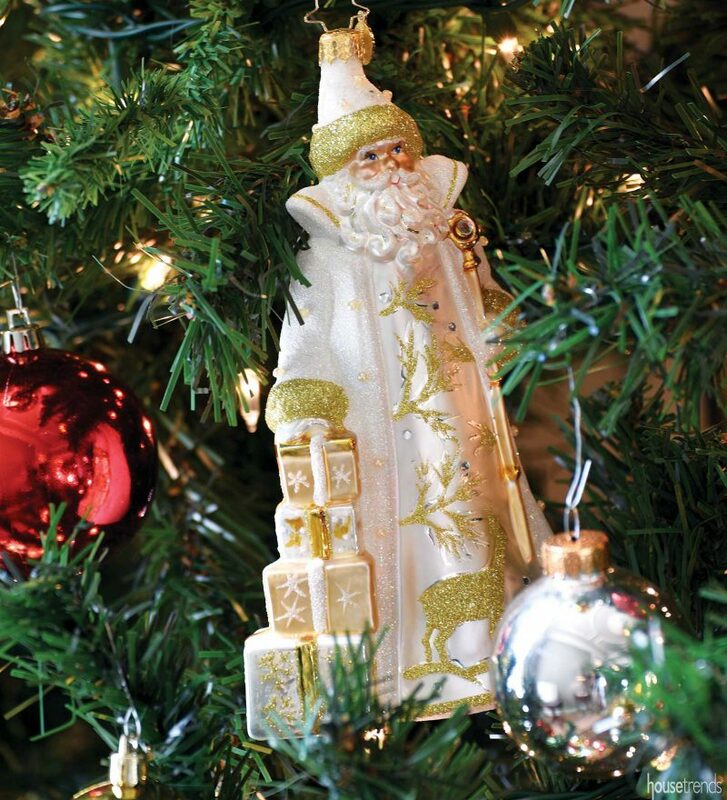 Christopher Radko European glass ornaments. 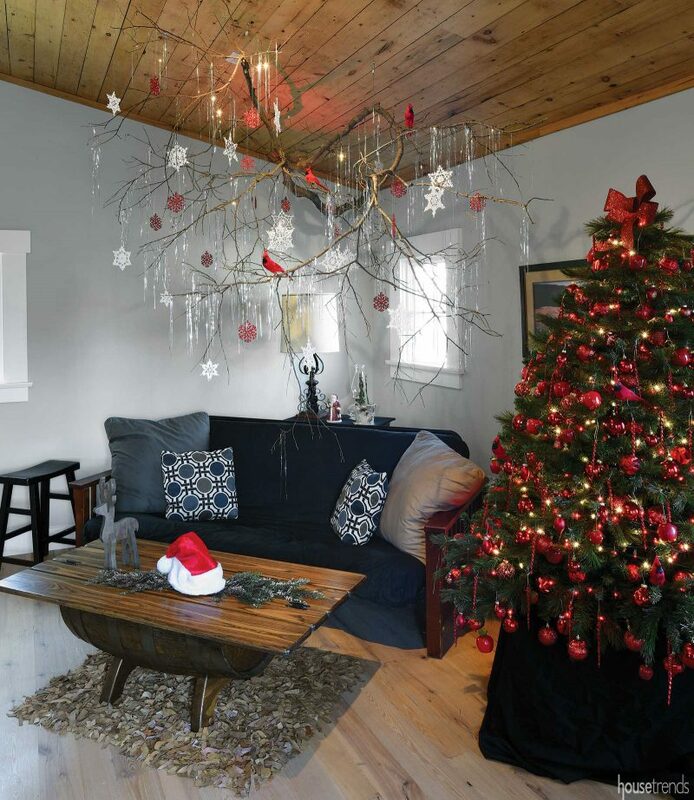 Other unique holiday decorations include Jason’s Dickens village collection, the Rudolph-themed table settings in the dining room, and the eye-catching tree branch mounted to the vaulted ceiling in the cozy sitting area next to the remodeled kitchen. 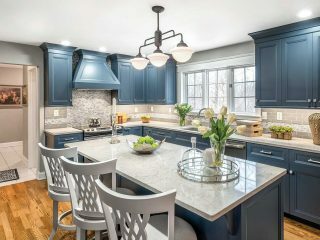 Kitchen remodel features transitional cabinetry. Vaulted ceiling covered in old flooring. Even the men’s and women’s bathrooms get in the holiday spirit thanks to traditional red and green decorations. 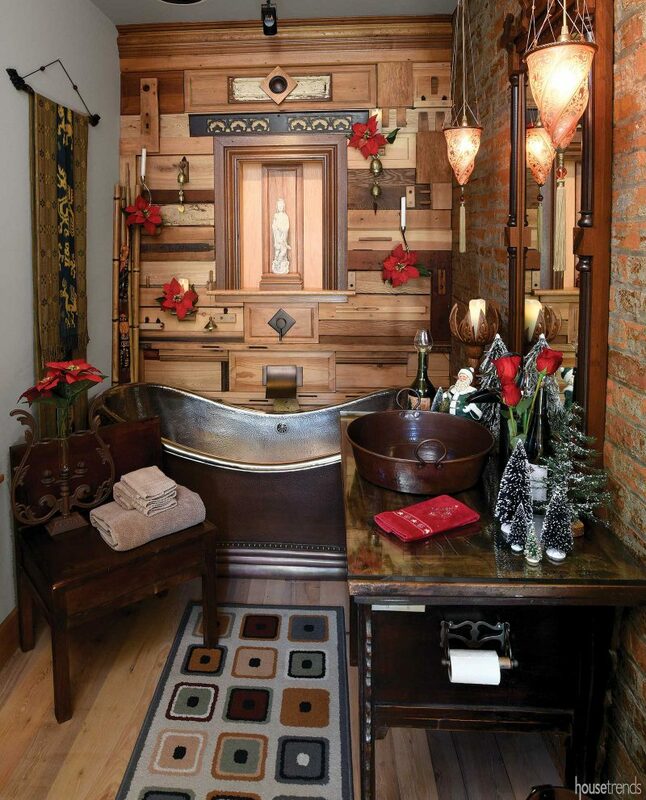 Repurposed wood creates focal wall for soaking tub.